A lot has changed since Reagan’s time, specifically the use of technology to transmit information through mediums such as the Internet. But what is the impact on politics? 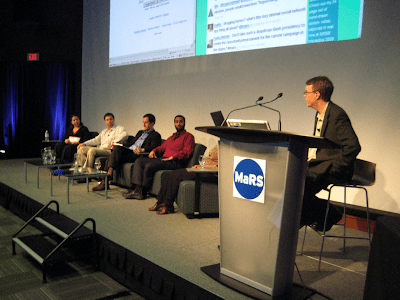 This was the subject of a session at the MaRS Centre entitled The Permanent Campaign. Prof. Greg Elmer, Director of the Infoscape research lab, Ryerson University, Toronto, gave the introductory plenary. Jesse Hirsh has provided an overview of the event.